Commercial. Approval fees for commercial constructions on average cost between Shs800,000 and Shs1,000,000. Basic construction. Assessment and approval fees for basic construction on average cost between Shs500, 000 and Shs800, 000. Revenue collection. Wakiso District expects to collect more than Shs3 billion from approved building plans in 2018/2019 Financial Year. Arrested. In 2017 about 20 people were arrested and some were prosecuted for issuing fake building plans to developers. Wakiso. Wakiso District authorities have given owners of buildings without approved construction plans up to three months to have them approved or the buildings be demolished. The district engineer, Mr Sam Mwesigwa, said the three-month deadline became effective last month to allow authorities follow up their unapproved plans at the district. 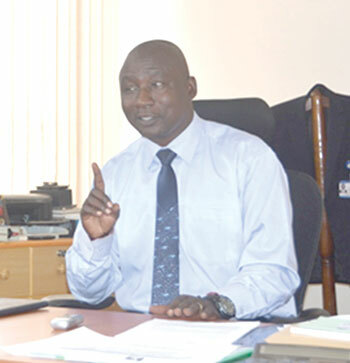 “According to our records the district has already recorded 578 buildings whose owners commenced construction works before their building plans were approved,” Mr Mwesigwa said in an interview with Daily Monitor last week. He said the plans were submitted by architects who misled their clients to start construction before their plans were approved. According to Mr Mwesigwa, after the deadline, the old building plans will be cancelled and the applicants will submit fresh plans. He said the district chief administrative officer, Mr Luke Lokuda, has written to all architects companies tasking their engineers to follow up all building plans submitted for approval and ensure they are approved as soon as possible. “As local government we need development in our district but we also need taxes. That’s the reason our officers are giving more time to people to have their plans approved to save their buildings from demolition,” he said. “We don’t need our people to lose their buildings/investments, that’s why the district placed adverts in Daily Monitor a few months ago to let the public know the status of such structures. We advertised more than 578 buildings which commenced without approved plans and we hope to pull them down if their owners and their architects fail to comply,” Mr Mwesigwa added. He said the illegal buildings have caused huge financial loss to the district. “According to our records, the district is losing about Shs3.7 billion annually in unapproved building plans. So we have started an operation to track all engineers and locals who construct without approved plans,’ he said. The district engineer revealed that between August and December 2017, Wakiso lost close to Shs200m to unscrupulous engineers who issue fake building plans to developers. He said majority of the structures that lack approved building plans are in the new municipalities of Nansana, Kiira and Makindye/Ssabagabo while others are in Wakiso, Kyengera Town Council, Katabi, Kakiri and Masulita town councils. Mr Mwesigwa said after the expiry of the ultimatum, the district will dispatch a team of field officers to ascertain whether developers have complied. Recently, Mr Mwesigwa said the number of developers seeking approval of their building plans reduced by 30 per cent, blaming the decline on the increasing number of unscrupulous engineers. In 2017 about 20 people were arrested and some were prosecuted for issuing fake building plans to developers. 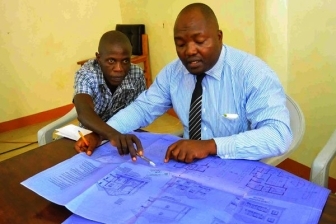 According to Mr Mwesigwa in the 2018/19 Financial Year, the district expects to collect more than Shs3 billion from approved building plans, but added that they are likely to raise half or less of the projected amount due to noncompliance by some developers. The district physical planner, Ms Edith Nakatudde, said the process of reviewing and approving a building plan takes the district between two weeks and one month and Ms Nakatudde wondered why many developers do not want to follow the process. The Wakiso District traders chairperson, Mr Vicent Kasozi, welcomed the decision to compel locals and businessmen to have their building plans approved but urged the district authorities to make the process swift. “We shall also help the district to sensitise our traders and locals about the advantages of approving their plans before commencement of construction,” Mr Kasozi said. For commercial constructions such as storey-buildings and factories, besides the basic construction requirements, one must have an Environmental Impact Assessment certificate from National Environment Management Authority, a traffic impact studies certificate which evaluates the transportation impact of land development proposals, geological structure studies, clearance from the factory bodies, waste management proposals and engineering supervisory agreements as well as assessments. For residential and other small buildings, one needs to prepare two copies of architectural plans, two copies of structural plans certified by either a registered engineer or an architect and genuine land title. KCCA eyanjudde enteekateeka empya eri buli asuubira okuzimba ekizimbe mu Kampala naddala eky’obusuubuzi n’ekyusa kaadi kw’ebadde ekeberera abazimba oba bagoberedde amateeka. Atwine ng’alaga ebipya bye baleetedde Bannakampala. Etongozza kaadi empya kw’etadde amateeka amakakali agafuga abazimba mu Kampala era n’eteekako ebifo bisatu okuli nnannyini poloti w’assa omukono, kkampuni emuzimbira n’amukubidde pulaani y’ennyumba. Akulira ekitongole ekitegekera ekibuga, Moses Atwine yategeezezza wiiki ewedde nti buli azimba ateekwa okukozesa bayinginiya abatendeke. Yagambye nti buli kizimbe kiteekwa okubeerako pulaani eyisiddwa KCCA era ng’etimbiddwa ne ku kifo awazimbibwa ate nga n’ekifo kikubiddwaako ebbaati okutangira obubenje. Yategeezezza nti buli pulaani egabibwa eteekwa obutasukka myezi 18 ng’okuzimba kutandise. Ate abatandika ku bizimbe ne babikomya mu kkubo, KCCA ebawadde emyezi 30, bwe giggwaaako nnannyini kyo takkirizibwa kuddamu kuzimba nga tazzeeyo mu KCCA kuddamu kwekebejja pulaani. Ssaako okussa paakingi ku buli kizimbe ky’obusuubuzi ekizimbibwa mu Kampala okuggyako nga KCCA esoose n’etunuulira ekifo ne pulaani okukakasa nti paakingi tegendako. Omuganda yenna asanidde okutunulira World plane Radar engeri enyonyi eziri munsi zonna bwezitambula ekiro ne misana. Olunnaku olumu bweluti enyonyi ziringa 9 zokka ezibuka nokuggwa wano e Buganda. Ruanda ziwera 20. Heathrow ziri 8000. Abakugu abakuba Plan ze bibuga ennaku zino ekibuga bakitwala nga kyabantu abakibeeramu nga bebananyini kibuga ekyo abayambibwa okukibeeramu obulungi kumulembe, nga bakoleramu emirimu nokukisulamu. Ate nokukigaggawaliramu. Era ne governmenti okukifunamu ekitiibwa kyobuntu bwensi yonna(Tourism etc). Waliwo nokukiyamba nensi endala ezikyagala okukulakulana kulwobulungi bwensi yonna eya Uganda ate nensi zonna nga bwolaba ekisaawe ky'Entebbe ate ne country to country trans trains ne buses ezitambuza abantu(abasabaze) emisana ne kiro. Singa no nebibuga ebirala nga Mbarara, Jjinja, Arua ne Kabaale bwemutyo bwemutwala yo amateeka gano amalungi singa Uganda kakano erina ebibuga nga 5 ebiyitibwa International African Cities.